Infinity Ward showed off some new footage of Call Of Duty Modern Warfare Remastered as part of the Infinite Warfare trailer and it looked spectacular. However, just how much the game has changed since its release a decade ago? We have a comparison for you showing 2007 Call Of Duty Graphics with remastered edition which is under development for PlayStation 4, Xbox one and PC, reminding us how far things have come in almost 10 years. Call Of Duty Modern Warfare Remaster aims to offer a level of visual fidelity that fans can expect from current generation console game. Its HD textures, shadow and lighting, particle effects are all in line with some of the most recent shooter games. vibrant current-generation visuals, with fully improved texture resolution and detail, high-dynamic range lighting, lit and shadowing VFX particles, revamped animation and audio, stunning sound, and much more. 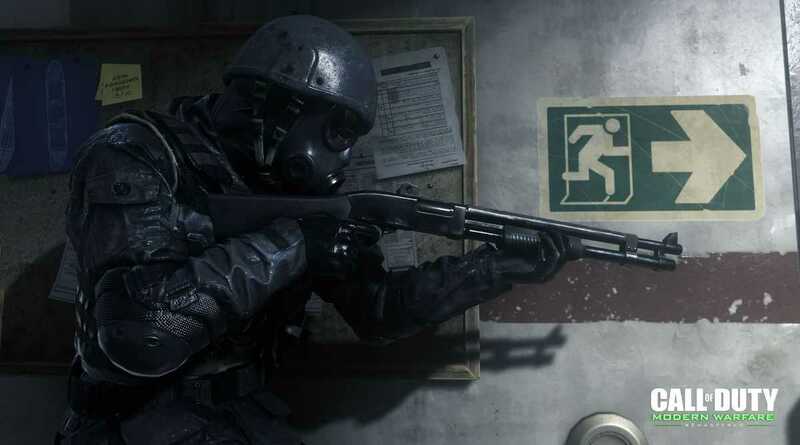 Call Of Duty Modern Warfare Remaster is being developed by Raven Software, while the original studio Infinity Ward is working solely on Infinite Warfare. Call Of Duty Remaster comes with with full single player campaign, along with 10 multiplayer maps, but for now three maps have been confirmed. Call Of Duty Infinite Warfare pre-orders are now live, but for now only standard edition and legacy edition are available for pre-order. The only versions of Infinite Warfare including Modern Warfare Remaster are Legacy Edition priced at $79.99 USD , Legacy Pro edition priced at $119 USD and Digital Deluxe Edition priced at $99.99 USD. Call Of Duty Infinite Warfare was revealed yesterday, and the trailer was received with mixed reactions by fans. However, majority of fans are disappointed by the fact that Infinity Ward chose futuristic setting for the game. Maybe the fans are getting tired of Call Of Duty games to feature futuristic setting, maybe it is time to go back to Modern Warfare style or World War style. What do you think of Modern Warfare Remaster? Are you impressed with the changes done to the game? Let us know in the comments. [UPDATE] Activision Denied Support To The Charity Stream “TheRace”, Here Is Why!